A few weeks ago, Mickey and I revisited the retail shops at SM Aura Premier. After a few hours of exploring our favorites shops (and discovering some exciting new shops), we needed to cool our heels and grab a quick bite before heading to the upper levels. 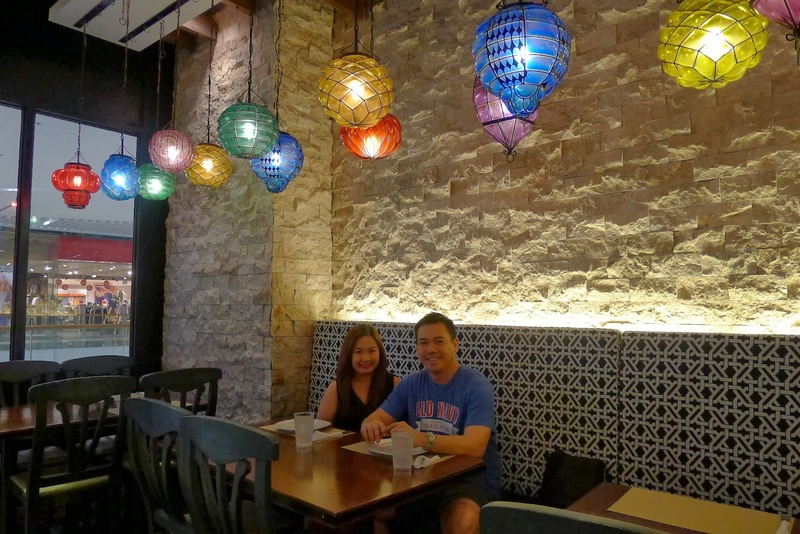 We wanted a to try a restaurant with a relaxed vibe, it's a good thing that we stumbled upon Greeka Kouzina at the 2nd level, right across Forever 21 and Uniqlo. The colorful lighting fixtures and the beautiful textured walls with the uplighters (that emphasized it even more) drew us instantly inside Greeka Kouzina. 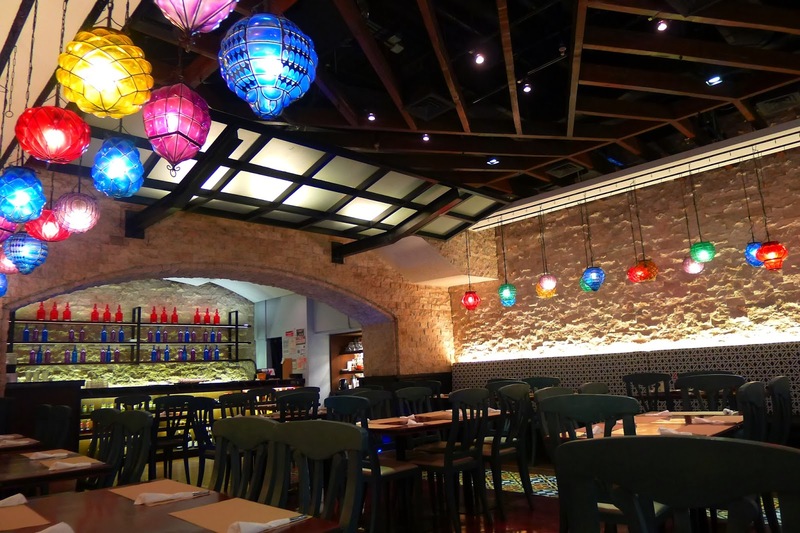 The restaurant's interiors was such a beautiful sight from outside that aesthetically, it was an easy pick. Greeka Kouzina serves a full menu that consists of salads, souvlaki, gyros, entrees, seafood and desserts, but for today, we decided to have some Gyros for some quick and easy bites! 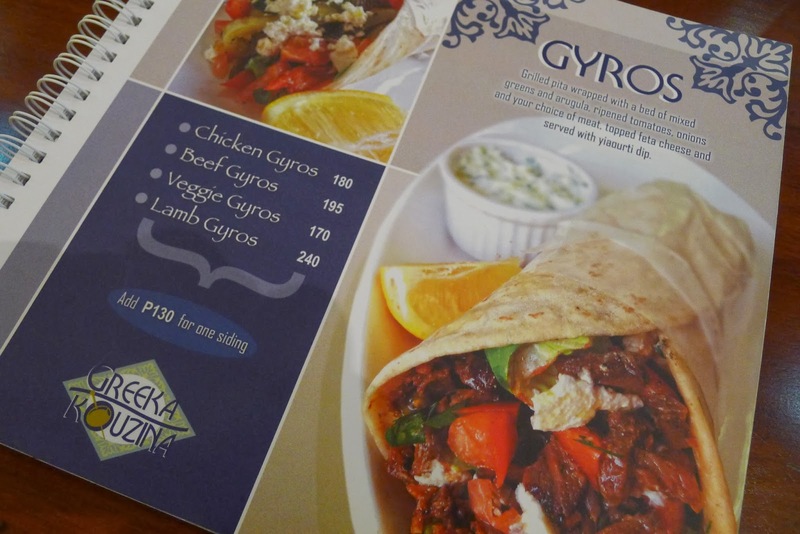 To view Greeka Kouzina's full menu, click here. We both ordered a Chicken Gyro which is wrapped in grilled pita with greens, arugula, tomatoes, onions with feta cheese and served with yiaourti dip! Such a yummy and healthy snack! 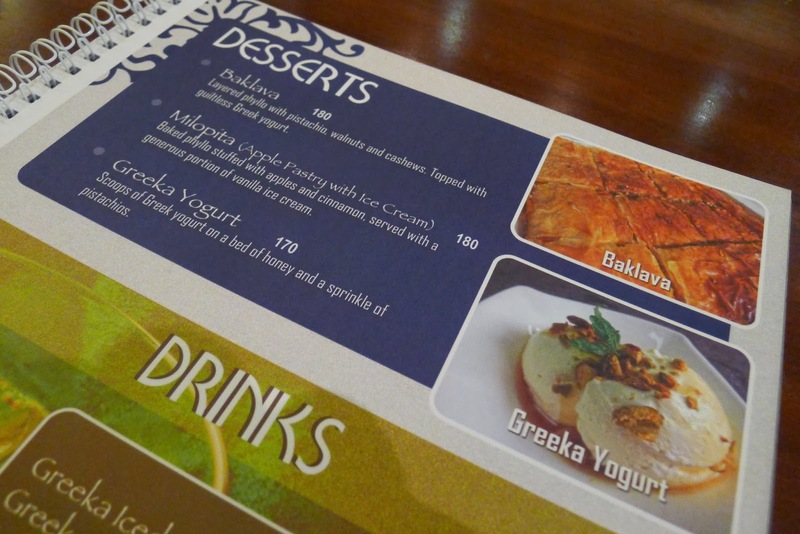 The Greeka Yogurt was creamy and tangy in taste. 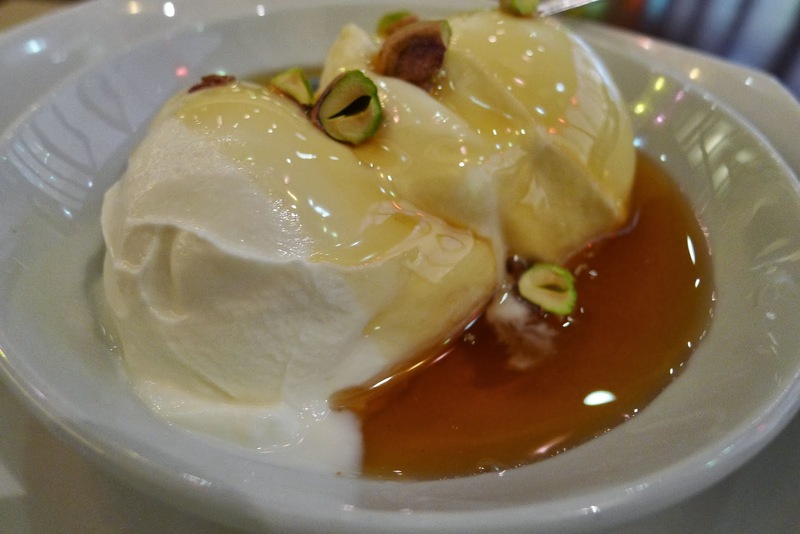 The sweet honey poured over the yogurt was supposed to balance off the tanginess, but this yogurt was intensely sour. Nonetheless, we enjoyed our visit to Greeka Kouzina. It's a great place to bring friends and family and we absolutely love the healthy food selection. 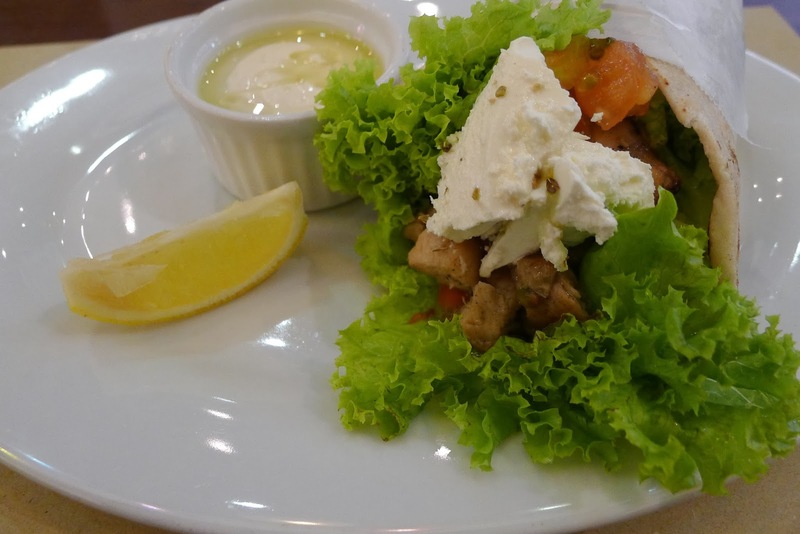 For some quick, healthy eats, try Greeka Kouzina at the 2nd Level of SM Aura Premier (located at 26th Street corner McKinley Parkway, Fort Bonifacio, Taguig City). They also have another branch in San Juan.